"Lizzie in the Old Growth Forest"
john4jack (Corvallis, Oregon, United States) on 2 July 2017 in Animal & Insect and Portfolio. Lizzie became a member of our family one week ago today. She is a 3.5 yr. old, purebred, Havanese. Because of the neglect of the previous owner, she was severely matted and had to be shaved a month ago. She will have much more hair. She is the most loving dog that you can imagine (and we have lots of love to give). 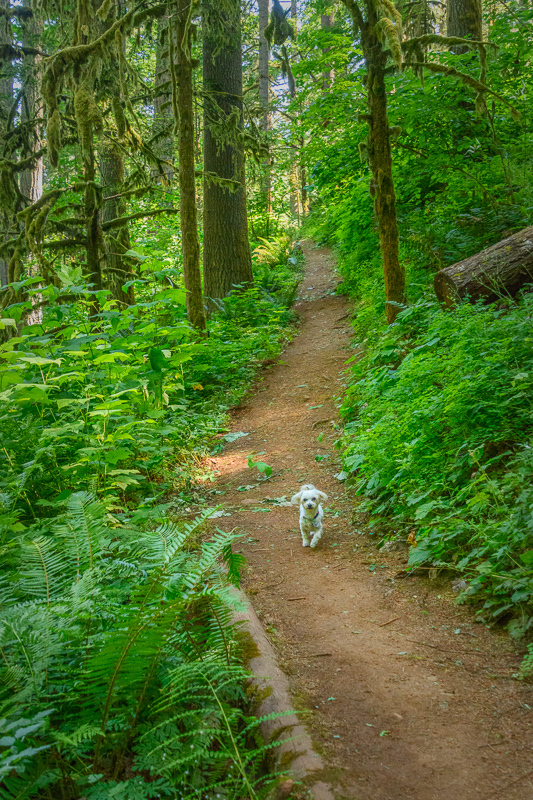 She has been on daily walks in the natural areas around Corvallis.